Saw the sun comin up hit the beach or what? 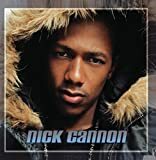 All Nick Cannon - You lyrics are property and © copyright of their respective owners. All You lyrics provided for educational purposes only.